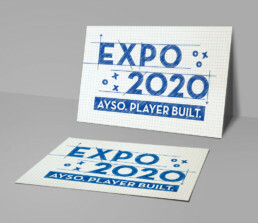 I was recently given a very tight deadline to design the logo for next years EXPO. With less than two days to design, I came up with a number of very solid options. 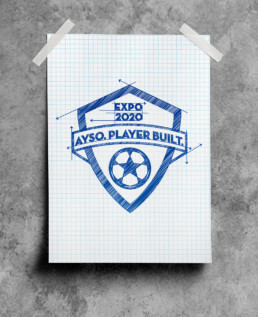 That represent soccer and the idea of building. These two were the runner ups, and my personal favorites (as as quite a few others involved in the decision.) I dont want to show the final pick before it is released, but will add it in as well once the it has been officially announced.